They Shoot, They Score, He Mixes! 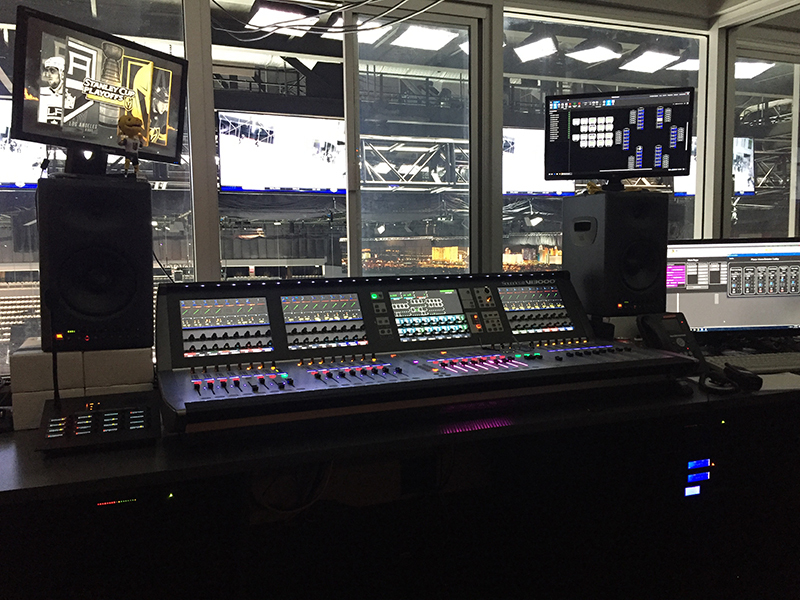 Audio engineer Geoff Lissaman’s view of T-Mobile Arena from the sound booth. There are 14 JBL passive 12-plus-horn boxes on the scoreboard outside lip, and then four more inside pointing straight down. 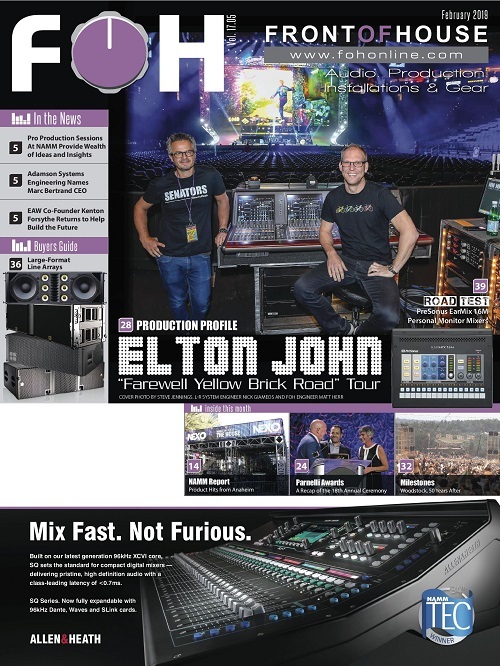 He works with 24 JBL biamped 15-plus-horn boxes as a delay line. “They cover the top 10 rows or so. The main P.A. will cover up there, as it’s 175 feet, but cranking the delays up lets me darken the main P.A. 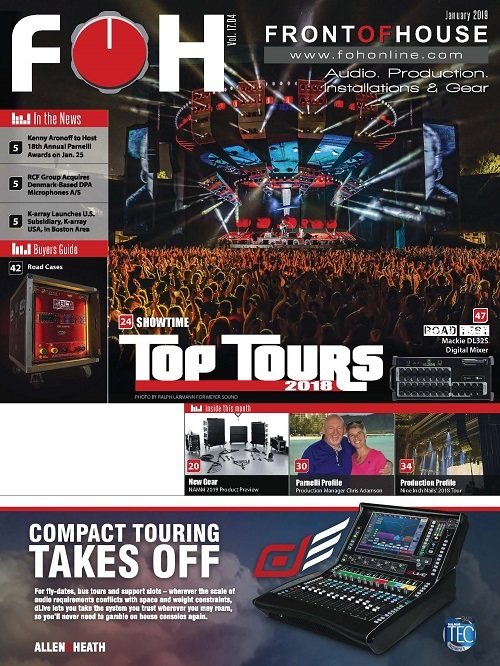 some and gives me a few dB more before I’m in the limiters.” The main array is powered by JBL V-Racks and controlled by Performance Manager with Crown amps galore. 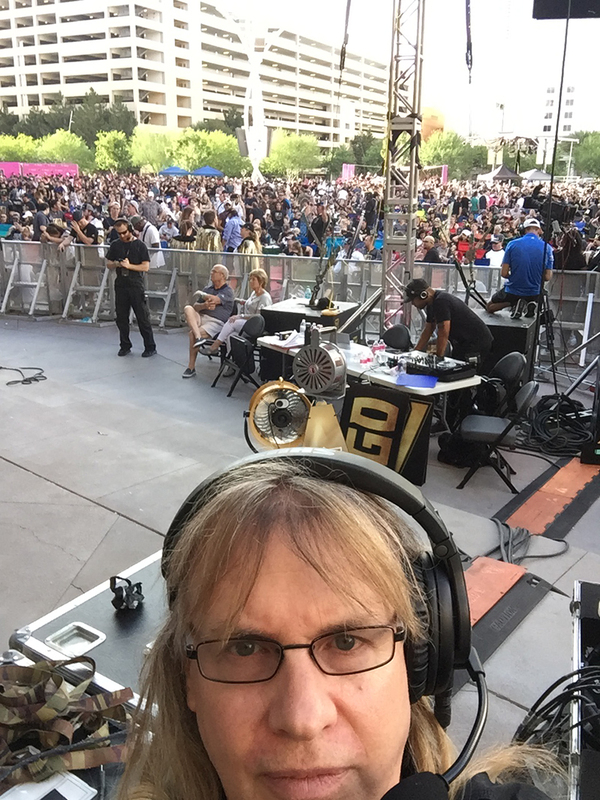 Along with the work he does for the home games, Lissaman also supports the audio needs for the Golden Knights on the road. So there he is, doing pre-season games, and as there were “not a lot of hockey people involved at the audio crew level,” Lissaman did more than just show up for the job. 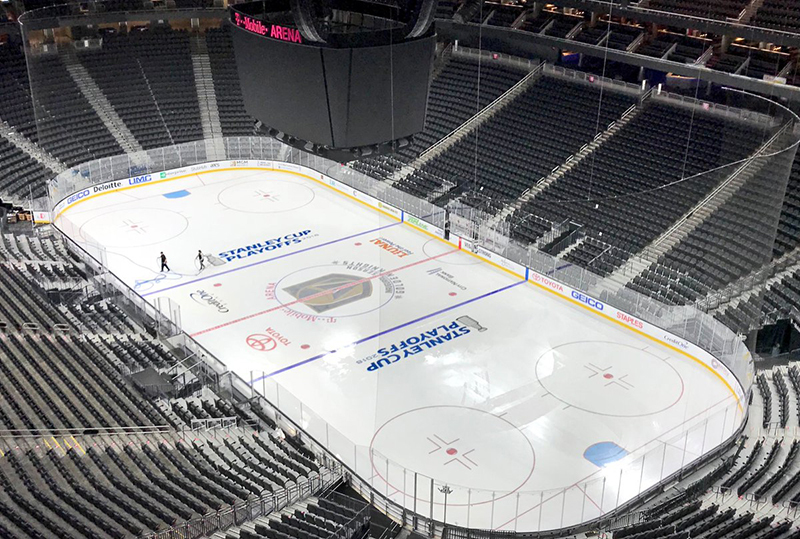 “They were all good people — we all did basketball together — but they didn’t understand hockey.” Otherwise, the mantra was, these games needed to be Las Vegas Big. So while they had the traditional organ typically heard at sporting events, it was able to store and play song clips, which is what they mainly used it for. “We didn’t want to play a Guns N’ Roses song on the organ, we wanted to hear the actual Guns N’ Roses song.” There were also two DJs spinning, special effects, and of course, showgirls. As far as live mics go, the wireless system is a Shure Axient with Beta 87C capsules, which “I really like, much more than the regular 87s.” There were E-V RE20s on the P.A. announcer. There also was a drum line, which involved four Sennheiser ME’s on the floor. Naturally, dbx 160As were on the mics, and he says the building is all BSS Soundweb London controlled by Audio Architect. 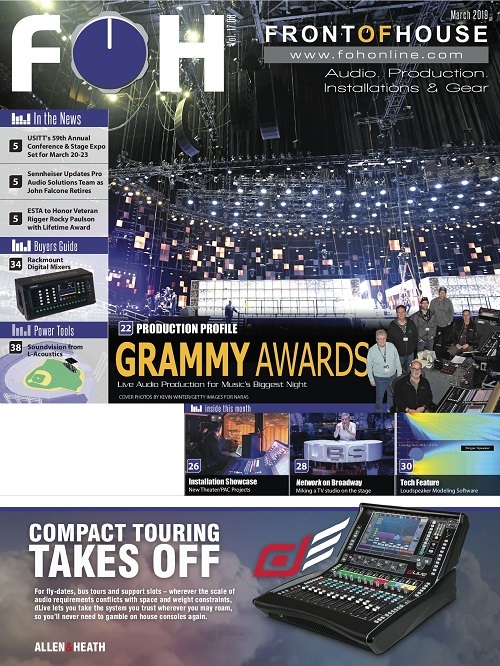 A Soundcraft Vi3000 handles the mix. 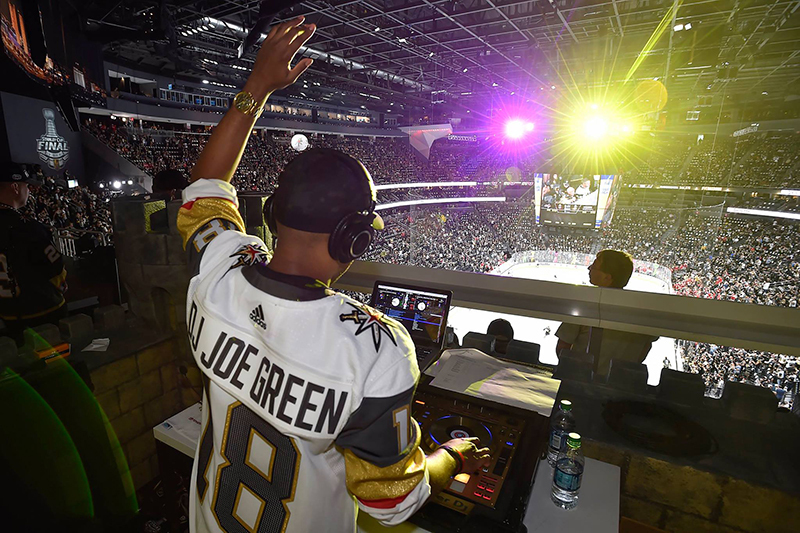 Team DJ Joe Green helped keep the party going during the team’s longer-than-expected first season. 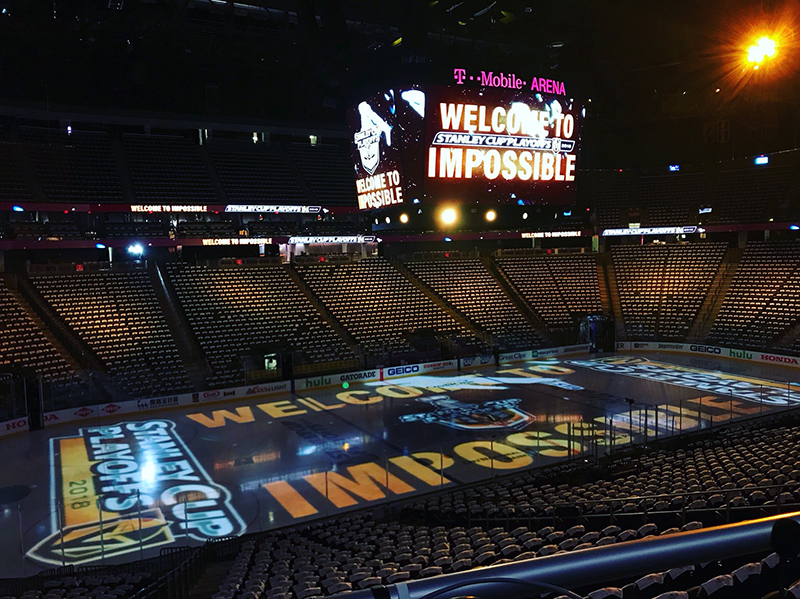 Owned by AEG and MGM Resorts International, the T-Mobile Arena in Las Vegas is a world-class, $375 million, multipurpose entertainment venue available to host NBA and NHL teams, concerts, boxing, mixed martial arts, award shows and other major events. The 650,000-square-foot arena has a maximum seating capacity of 20,000. 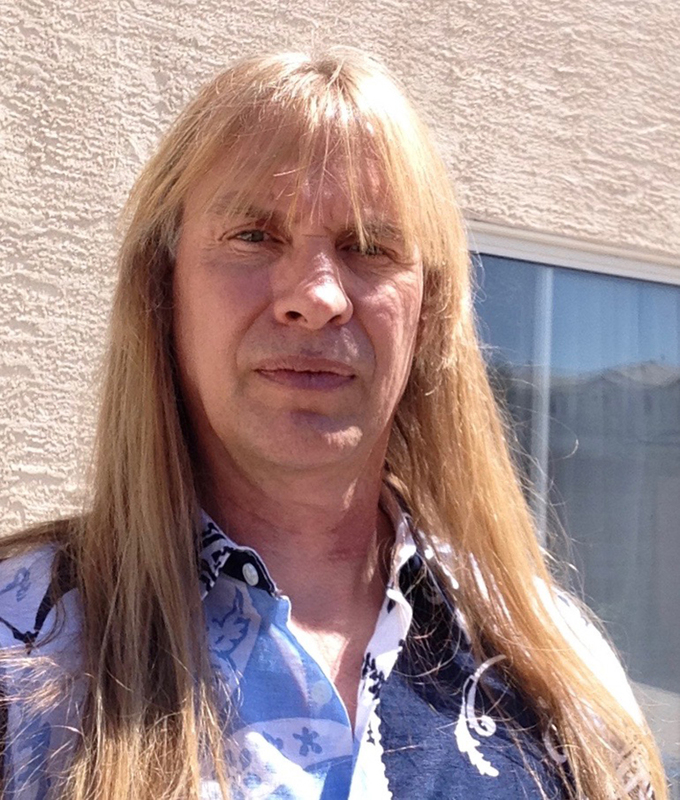 Managing the all-Harman Professional audio install was ATK Audiotek of Valencia, CA. Central to the arena’s sound is a main six-cluster audio system that hangs next to the scoreboard and was designed by Dallas-based system design and consulting firm, WJHW. 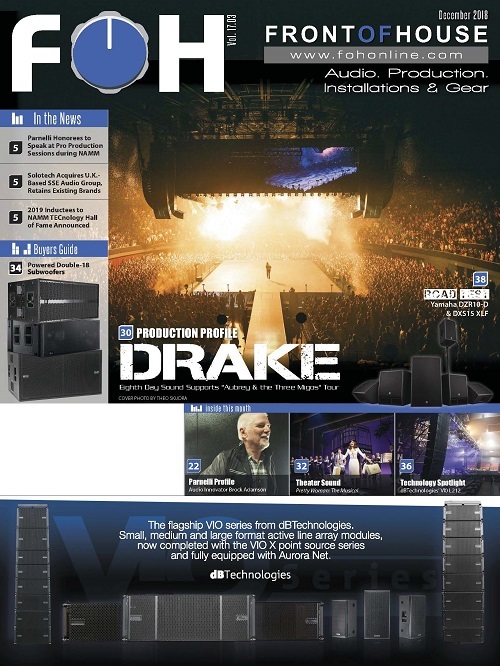 The clusters consist of 72 JBL VTX V25-II line arrays and 36 JBL VTX S28 subwoofers powered by 18 Crown VRacks. 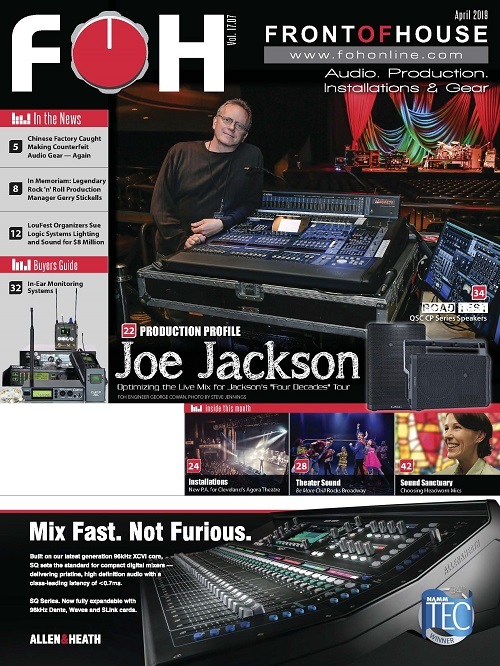 The house console is a Soundcraft Vi3000.